October 1 will be the one-year anniversary of the worst mass shooting in United States history. 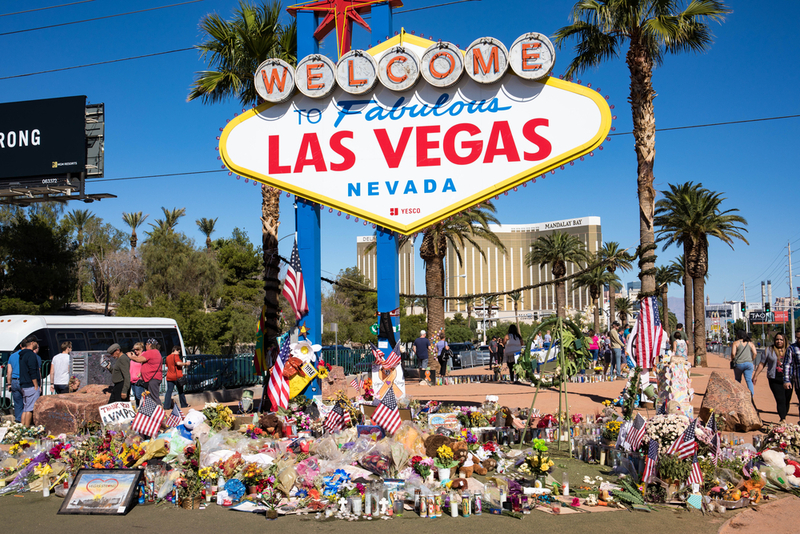 Fifty-eight people were killed while attending the Route 91 Harvest country music festival in Las Vegas, Nevada. Artist Ellen Abramo is commemorating the victims with portraits to be displayed in Las Vegas, giving life to the memories of those who are now gone. Abramo chose to organize this project after participating in a similar one commemorating the victims of the Pulse nightclub shooting back in 2016. These portraits are her gifts to the victims’ loved ones, hoping that those who are still in mourning know that the community will never forget what happened, or the people who died. Abramo co-founded this project with her cousin, Kortney Struempf, who also felt a pull to help the victims’ families with art. The women asked artists through Facebook to join the project, with the stipulation that there would be no pay whatsoever, and artists would be responsible for covering all shipping and supplies costs. More than 100 people responded to the call, with artists from countries as far as Australia and South Africa offering their services. The portraits are currently on display through October 19 in the Rotunda Gallery of the Clark County Government Center. At the end of the exhibit, portraits will be sent to the victims’ families through the Vegas Strong Resiliency Center.